Valiant Movie Universe: Too Little, Too Late? Based on a deal between Valiant Entertainment and DMG Entertainment, characters like Bloodshot, Harbinger and Archer & Armstrong will be coming to your local cinema, though there’s an important question which I don’t see being asked, which is if there’s an audience for them. Currently, there’s a Big Two as far as movies based on comic books go, and that’s Marvel Studios and DC Entertainment, though that’s not to imply that there haven’t been other players. For instance, Dark Horse Comics in the movies have been represented by Hellboy, The Mask, Virus and Timecop, Malibu Comics with Men In Black and Cowboys & Aliens and Image Comics with Spawn. The Hellboy movies have been moderately successful, though the sequel to The Mask, 2005’s The Son of The Mask was a box office failure. Malibu, which later evolved to the Ultraverse, was absorbed into Marvel Comics, and soon vanished. 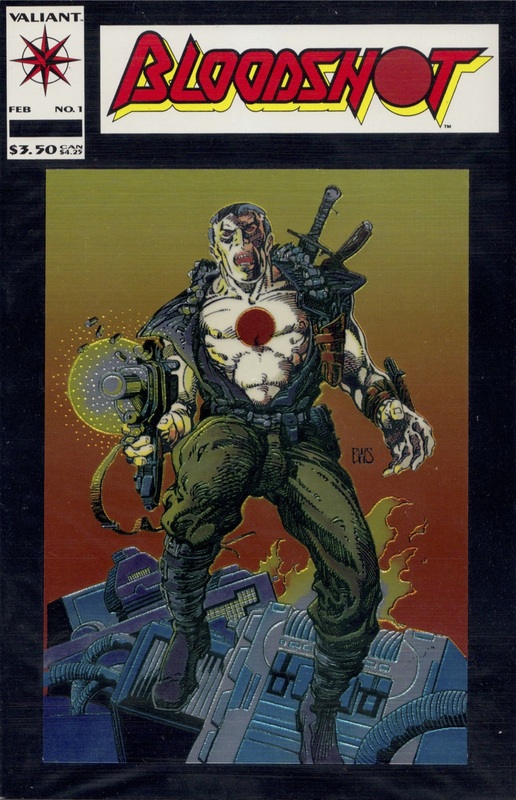 Which was still more successful than the efforts of comic companies like Avatar Press (Faust) and Image Comics (Spawn, which did reasonable well at the box office), though barely registered among many. In other words, outside of Marvel and DC, movies based on superheroes have been only intermittently successful at the box office. Which leads to Valiant. As far as I can see, the keys to their success as an alternative to Marvel Studios and DC Entertainment will be based on two things: Product differentiation and budget. If Valiant can create characters that are seen as distinctive from those of the competition, they will probably do well because there’s plenty of room for players that are offering something that people perceive as novel or new. The issue of budgets is a huge one because, at least initially, in that they cannot spend as much on a per-movie basis as either of the Big Two. By way of example, the upcoming Avengers: The Age of Ultron cost somewhere in the ballpark of $250 million, a huge sum (though only $25 million more than the first movie). The production costs of Batman V. Superman: Dawn of Justice aren’t yet available, though considering that the Batman costume for the upcoming movie is believed to have cost $100,000 and the Batmobile estimated to cost $9 million to build, it’s going to have a huge budget as well. Valiant Entertainment absolutely CANNOT afford to do this, no matter how much money their backers have because–unless it’s unlimited, which I doubt–a lack of consumer familiarity with their characters would more than likely prevent its success. Now, if Valiant Entertainment can somehow manage to bring in their initial features no higher than–though preferably lower–than $50 million there’s a chance that they can build the audience they will bring about greater profits down the road (which will begat bigger budgets). Posted in Comics, DC Entertainment, Movies, My Two Cents, superheroes, upcoming, Valiant Entertainment.Tagged Avatar, DC Entertainment, DMG Entertainment, Faust, Image Comics, Malibu Comics, Marvel Studios, Men In Black, Son of the Mask, Spawn, The Mask, Timecop, Ultraverse, Valiant Entertainment, Virus.